Reno, Nevada - Operating out of rental offices near a cluster of gaudy casinos is a quiet little company that’s making the most audacious bet in contemporary aviation. 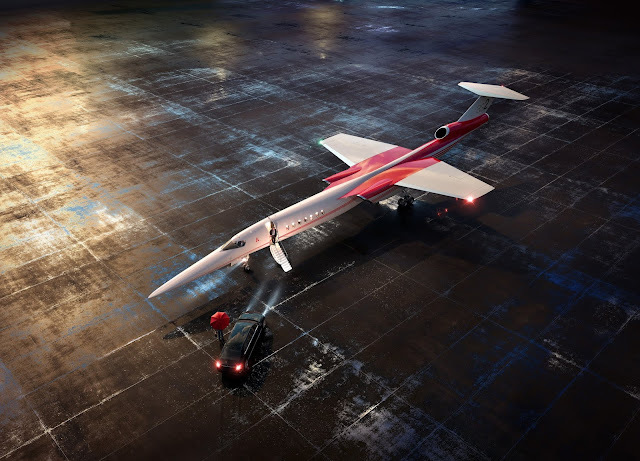 Aerion, founded only 15 years ago, is poised to build the world’s first civilian supersonic aircraft since the Concorde—whose first flight took place 50 years ago last month. In Mr. Vice’s telling, Aerion is building a supersonic anti-Concorde. Its aircraft, the AS2, is not a behemoth but a 12-seat business jet, expected to be flight-ready in 2023 and delivered to customers by 2026—assuming the Federal Aviation Administration will relax its blanket ban on civilian supersonic flights over U.S. territory. The plane will fly at a speed of up to Mach 1.4—40% faster than the speed of sound, or a bit more than 1,000 miles an hour. Aerion has already presold 24 aircraft at $120 million each: 22 to Flexjet—a company that provides fractional ownership of private jets—and two to “high-net-worth individuals” whom Mr. Vice declines to name. Concorde also made no money for Air France and British Airways , which had the aircraft foisted on them by their governments. And its emissions were risibly high by today’s standards. For all its mechanical magic, the plane was raucous, dirty and money-losing—the last because of its high development cost, limited market and lack of profitable routes. In contrast, Aerion is privately held, without a trace of government on its ledgers. Boeing recently purchased a significant stake, acquiring two seats on the five-person board. Robert Bass, the Texan billionaire who first seeded Aerion in 2003, is still the largest investor. Mr. Vice, 56, went to work in 1986 for Northrop Corp. while still an undergraduate in aerospace engineering at the University of Southern California. “I was the lowest of the low engineers,” he says. “Bottom rung. And I would work 10- to 12-hour days and then drive to the campus to attend classes.” Northrop assigned him to work on the B-2 Stealth Bomber even before he’d graduated. “I must have been viewed as pretty bright,” he says, not quite coyly. Mr. Vice eventually became head of Northrop’s Aerospace Systems—overseeing an $11 billion business with 23,000 employees—before moving to Aerion in March 2018. I have had to squeeze these biographical details out of Mr. Vice, who is much more comfortable discussing airplanes than his personal life. A tall, lean man, dressed in Nevada-casual jeans and a blue shirt, he becomes animated when talking about the history of civilian flight. Speed has accelerated greatly “in almost every area,” says Mr. Vice, “except civilian flight.” That he finds difficult to explain. 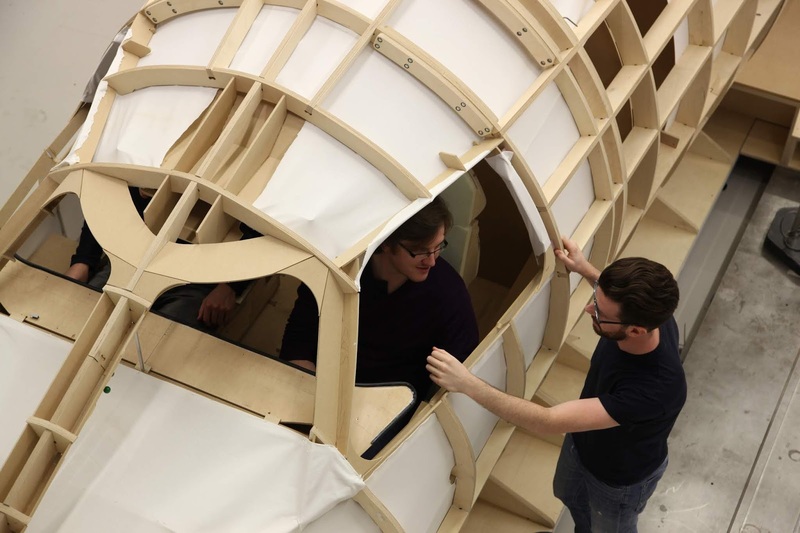 “There was a period of just incredible acceleration with the Concorde,” he says, but civil aviation has fallen back to its languorous 1950s pace since that craft was grounded. The focus in flight is on endurance, not speed. This brings out the philosopher in Mr. Vice, even as it makes him indignant. “We’re disrupting the future of mobility with our supersonic AS2,” he says with a wonky earnestness. “Time is humanity’s most precious resource.” He recently spent 12 hours going from Los Angeles to Tokyo for a four-hour meeting, then took 10 hours to come back. It must have been a tedious flight, for he recalls the food he ate: “Airlines think about what these long flights do to us. They think about the menu, what’s good and what’s bad. Nonstarchy food like cauliflower is perfect for a long-haul. But I don’t like cauliflower. I don’t think cauliflower is the answer to global mobility,” he says, unamused. Had he flown to Tokyo on Aerion’s AS2, he’d have shaved a couple of hours off his airborne time each way (even though that distance is at the limit of the plane’s range, which would mean flying subsonic part of the way). Aerion’s own calculator tells us that its craft would make a flight from New York to London two hours shorter, and one from New York to Los Angeles quicker by an hour. From London, you’d save three hours on a flight to Sydney and 90 minutes to Dubai. So why build a business jet? Why not a big, fast commercial airliner? “I’ll go back to Concorde as a guiding lesson,” Mr. Vice answers. “We asked ourselves: Was there a market for a large plane? What market was it? 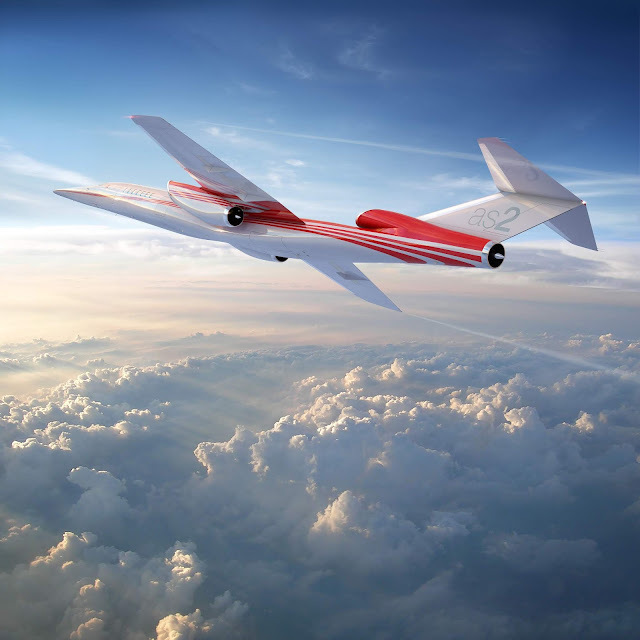 What are the economics, the cost of developing it, and the return?” Aerion concluded such a craft wouldn’t make economic sense in the current climate. A business jet is easier to put together and caters to customers who are relatively insensitive to fluctuations in fuel prices. The past 60 years have seen “tremendous R&D and new technology for subsonic engines,” he continues. “But what’s required for an efficient subsonic engine is almost the opposite of what’s required for an efficient supersonic one.” For the AS2’s precursor, the AS1, Aerion used “a military engine that we were trying to modify for the commercial space.” But the project was a flop. “Not all of the things worked the way we wanted them to,” Mr. Vice sighs. 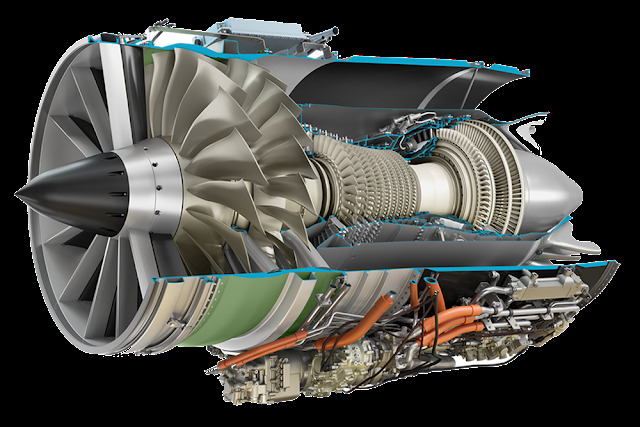 Aerion faced a similar problem when it tried to adapt military supersonic engines for the AS1. “The military engines are very sophisticated and efficient,” Mr. Vice says, “but they’re operating in military corridors.” They couldn’t be used for “flying in and out of airports that people live around—JFK, Teterboro, Charles de Gaulle, LAX.” Anyhow, for national-security reasons, a military engine wouldn’t be exportable. Noise is a major issue with all aircraft. A partial solution is bypass fans, which distribute air to make engines quieter and increase fuel efficiency at subsonic speeds. But while they can also reduce the noise of supersonic engines, it comes at the cost of reducing thrust and cruise speed. The Affinity offers a compromise—a moderate-bypass engine. The bypass ratio is large enough to help the AS2 meet FAA noise standards, but not so large as to hinder supersonic speed. The bypass ratios do limit maximum speed to Mach 1.4, but the AS2 would still be “the fastest subsonic airplane in history and the only supersonic business jet ever,” says Mr. Vice. What’s more, the AS2 will be able to fly over land at Mach 1.2—20% faster than sound—without producing a boom on the ground. Excellent article, much enjoyed reading it! Thank you for sharing! Aerion is on it's way to making history in the aviation world!